With 11 state-of-the-art permanent exhibit halls to explore, there’s no shortage of amaze-your-brain moments waiting to spark student interest in STEM subjects and careers. Welcome to a world where hands-on exploration meets make-believe adventure! Designed especially for children ages 5 and younger, our children’s area gives kids the opportunity to climb, create, explore and imagine. Note: Mondays from 10am-noon are reserved for members only. To help facilitate field trips, early learning classes may prebook the Moody Family Children’s Museum when scheduling their field trip. From physics to physiology, our high-energy interactives give kids the chance to test their reflexes, throw a fastball, and try their best to outrun one of the most formidable athletes of all time — Tyrannosaurus rex! Take an indoor nature walk at the Museum — where everything from single-cell organisms to ecosystems can open your mind to the power and potential of living things. Students will have the opportunity to explore the plants and animals that live in three different ecoregions of Texas and to challenge themselves to identify native plants and animals by scent or sound alone. The story of YOU begins with your ancestors; it travels through your DNA; it is held in your hands; it moves as you walk; it is heard through your voice; it is written in your brain. 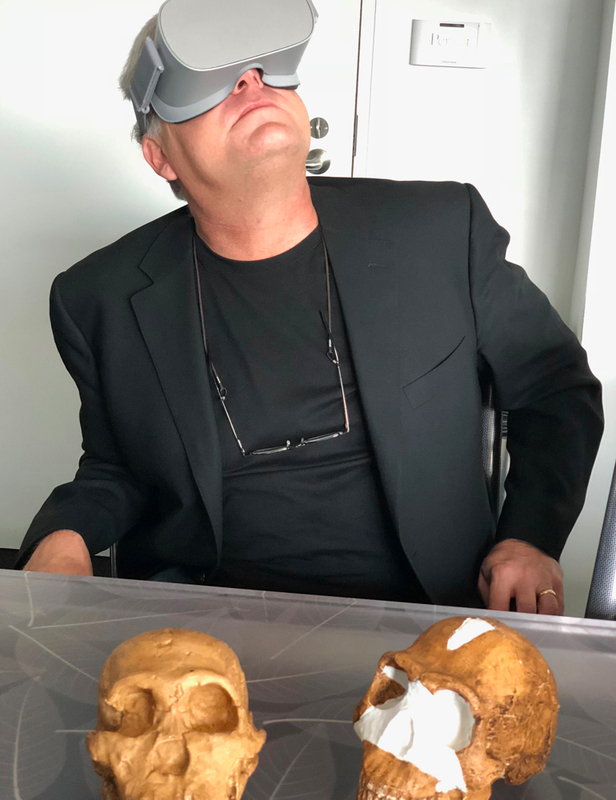 Fulfilling a promise to keep content fresh, relevant, and exciting, the Perot Museum will reveal its first completely transformed exhibit hall since opening five years ago, the Being Human Hall. Twice as many interactive displays, and innovative content and experiments will transport your students through the human journey as they explore the traits and abilities that are essential and unique to being human. If you have students who love solving puzzles, here’s your chance to show them how engineers use math, science, and creativity to solve everyday problems — or make groundbreaking discoveries with the power to change the way we live, work, and play. Plus, our newly expanded Robot Arena will give your students even more ways to participate in challenging robotic competitions! This dynamic exhibit hall puts earthquakes, tornadoes, hurricanes, and other dramatic weather events in perspective, using interactive exhibits to reveal how the elements of earth, air, and water interact with each other to shape our unique environment. Here, students will have the opportunity to use 3D technologies to visualize underground formations, see and touch real drill bits, and discover how renewable energies like solar, wind, geothermal, and hydroelectric fit into the energy equation. Your eyes will be amazed by Earth's original rock stars as they glisten, glimmer, and glow. Explore both the practical and beautiful aspects of these complex structures that serve as the building blocks of our planet. High-definition videos, digital puzzles, and touchable specimens will help you discover the astounding variety of colors, shapes, and configurations of minerals found across the globe. Presented in English and Spanish. A virtual journey through the solar system helps students put outer space into perspective as they contemplate how the universe may have started. 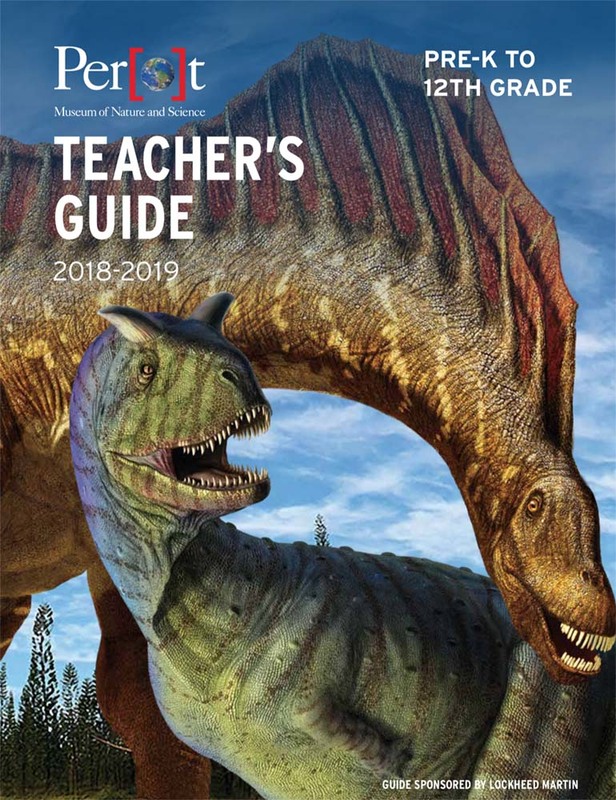 Learn about the time when Dallas was under a shallow blue sea, travel to the Cretaceous Period in Big Bend, explore ancient mammals, and learn about the Museum's current research of Alaskan dinosaurs. As students explore the similarities and differences of our feathered friends, they’ll have the opportunity to test, create, and name their own virtual species of bird — or use our full-body flight simulator to see how it feels to soar through the sky! Each exhibit hall features videos from scientists and other professionals talking about their careers, and the paths they took to get there. For more information about field trips, please contact us at 214.428.5555 ext. 8 or reserve@perotmuseum.org.